Brian Butterwick is a senior associate in the firm’s Mergers and Acquisitions practice. 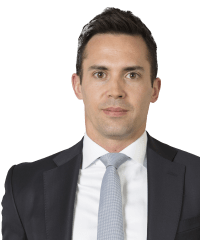 Brian regularly advises clients on public and private mergers and acquisitions and joint ventures, with a particular focus on cross-border transactions, and also represents both issuers and underwriters in IPOs and secondary equity offerings. The sellers of a European food & beverages company valued at €1.5bn on its ongoing sale. A European based conglomerate on its joint bid with a US based private equity firm for certain assets being disposed of in connection with the merger of Linde and Praxair. A Middle-Eastern investment group on its proposed €100m investment in a Dubai based renewable energy company. A FTSE 250 mining company on its proposed acquisition of a TSX listed mining company, in a transaction valued at approximately $4 billion. CMC Biologics on the sale of its European and US biopharmaceutical processing and manufacturing businesses to Asahi Glass Co. Ltd.
Societe Generale on the acquisition of Kleinwort Benson Bank Limited and Kleinwort Benson Channel Islands Holdings Limited, the UK and Channel Islands’ wealth management businesses of BHF Kleinwort Benson Group S.A. (“BHF”), as part of the takeover of BHF by Oddo & Cie.
Pillarstone Europe LLP on the establishment of a new investment platform with Kravis Kohlberg Roberts targeting European banks with non-core and underperforming assets. Eurobank Ergasias S.A. on the €316 million sale of 80 per cent of Eurolife ERB Insurance Group Holdings to Fairfax Financial Holdings Limited, following a competitive bidding process. General Electric (“GE”) on the divestment of gas turbine power generation assets and technology to Ansaldo in connection with GE’s $10.3 billion acquisition of Alstom. GE Capital on the sale of its Indian corporate finance businesses, GE Capital Services India and GE Money Financial Services Private Limited, for approximately $300 million. Investcorp on its bid for International Benefits Holdings Limited, the owner of a leading online employee benefits platform in the UK, for approximately $200 million. A FTSE 250 mining company on its proposed acquisition of a large African mining asset valued at approximately $1 billion. A Middle-Eastern sovereign investment company on the re-negotiation of its joint venture agreement concerning a market leading Gulf-based media company valued at $4.3 billion. International Chemical Investors Group on the acquisition of certain chlorovinyls assets divested by INEOS in satisfaction of a condition imposed by the European Commission to their establishment of the Inovyn joint venture with Solvay S.A.
Intuit Inc., a NASDAQ-listed financial software developer, on its acquisition of PaySuite Limited, one of the largest providers of payroll software in the U.K.
TD Williamson Inc., a pipeline equipment and services operator, on the restructuring of its European group. Appian Capital Advisory LLP on structuring and risk-management issues in connection with its proposed investments into natural resources assets located in 15 separate jurisdictions. SNC Lavalin Group Inc on its £1.2 billion recommended acquisition of Kenz Corporation Limited, which was implemented by way of a scheme of arrangement. Future Publishing plc on the sale of its music listening publications to Team Rock Limited (backed by Harwood Private Equity). RBC Capital Markets in its role as financial adviser to the offeror on the proposed merger of an AIM-listed oil & gas company with certain assets of a US oil & gas investment company, constituting a ‘whitewash’ transaction under the UK Takeover Code and a reverse takeover under the AIM Rules. West Power & Gas Limited on the acquisition of an electricity distribution network in Nigeria as part of the Nigerian government’s privatization of the industry. The migration to the UK of UBM plc, a FTSE 250 listed global events-led marketing services and communications company. Allied Gold Mining PLC on its recommended A$1.025 billion takeover by ASX-listed St Barbara Limited. Public Service Properties (Investments) Limited in connection with the sale of the majority of its UK portfolio to the European Care Group, and the connected re-financing of the combined group. Picton Property Income Limited on the proposed offer for Invista Foundation Property Trust Limited. A Middle-Eastern investment company on the proposed offer for a Canadian AIM-listed oil & gas exploration and production company. West End of London Property Unit Trust on the purchase of a BVI company whose sole asset was 98 Theobald’s Road WC1. Primezone Properties Limited on the purchase of a BVI company whose sole asset was 169 Union Street SE1. China-Africa Development Fund on the proposed US$281 million acquisition from Copperbelt Mineral Limited of its 100 per cent owned subsidiary, Platmin Congo BVI Limited, which owns two copper mining projects in the Democratic Republic of Congo. The former shareholders of Health Investments Limited on its sale to Primary Health Properties plc. China Non Ferrous Metals Int’l Mining Co. Ltd on its £5.6 million acquisition of a 19.9 per cent interest in Chaarat Gold Holdings Ltd, an AIM-listed gold mining company operating in the Kyrgyz Republic. F&C Asset Management PLC on the combination of its property business and REIT to create a leading UK-owned property asset manager with £8.4 billion assets under management. A European food & beverages company on its proposed €1.5bn premium listing on the London Stock Exchange. JP Morgan and Citigroup as joint sponsors in the proposed £1.4 billion premium listing of an issuer in the retail sector on the Main Market of the London Stock Exchange. A Gulf-based offshore marine services company on its proposed premium listing on the LSE, valued at approximately $800 million. Allied Gold Limited on its redomiciliation to the UK and the listing of Allied Gold Mining PLC on the Main Market of the London Stock Exchange, the ASX and the TSX. Crest Nicholson plc on its premium listing and IPO on the London Stock Exchange. RBC Capital Markets and J & E Davy on the US$106 million fundraising by Kenmare Resources plc, which was conducted as a fully underwritten cashbox placing of shares and share warrants. 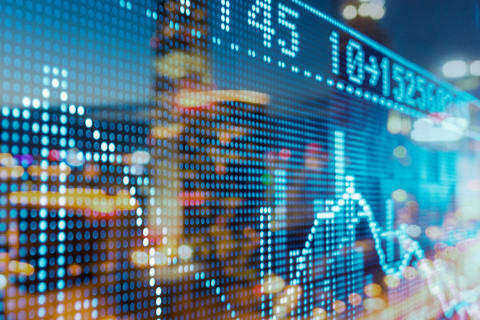 Investec Bank PLC and Peel Hunt LLP as joint bookrunners on the cashbox placing of new ordinary shares by Redefine International PLC, a UK Real Estate Investment Trust listed on the LSE and JSE, to raise gross proceeds of £54.7 million. RBC Capital Markets, Canaccord Genuity Limited, J & E Davy and Mirabaud Securities LLP on the placing of new ordinary shares by Kenmare Resources plc to raise gross proceeds of approximately US$60 million fundraising. EFG-Hermes and Goldman Sachs as joint global coordinators on the US$900 million IPO of Edita Food Industries S.A.E. (“Edita”) and the listing of Edita's ordinary shares on the Egyptian Exchange and global depositary receipts on the London Stock Exchange. A Canadian oil & gas exploration company on its proposed redomiciliation and subsequent listing on the Main Market of the London Stock Exchange. HSBC Bank plc, Macquarie Capital (Europe) Limited and Canaccord Genuity Limited as joint bookrunners to the proposed Main Market IPO of an African mining company, valued at approximately £1 billion. GeoPark Limited on the UK aspects of its de-listing from AIM and IPO on the New York Stock Exchange. Macquarie Capital (Europe) Limited and First Energy Capital (as joint brokers) and Smith & Williamson Limited (as nominated adviser) on the proposed AIM IPO of a central-European oil & gas exploration and production company. PwC Corporate Finance (as Nominated Adviser) and Numis Securities (as broker) in relation to the IPO on AIM of Abbey Protection plc. Aurelian Oil & Gas PLC on its placing of new ordinary shares to raise to raise gross proceeds of approximately €100 million. Sirius Real Estate Limited in relation to its equity raising of €40 million, which was conducted as a combination of an institutional placing and additional subscriptions. Liberum Capital Partners (as Nominated Adviser and broker) on the US$33.5 million fundraising by Mwana Africa PLC. RBC Capital Markets (as Nominated Adviser and broker) on the institutional placing of new ordinary shares by InternetQ plc in connection with its acquisition of Atlas Interactive Deutschland GmbH. Aurelian Oil & Gas PLC on its placing of new ordinary shares to raise gross proceeds of approximately €39 million. Creat Resources Holdings Limited (“CRHL”) on its subscription of a 19.99 per cent shareholding in Galaxy Resources Limited, which constituted a reverse takeover for the purposes of the AIM Rules. International Finance Corporation on its subscription of a 12.2% interest in President Energy plc. The International Finance Corporation on its subscription of a 5% interest in Hummingbird Resources plc, and the issue of a warrant instrument in respect of a further 3% interest. The International Finance Corporation on its subscription of an 11% interest in African Eagle Resources plc, and the issue of a warrant instrument in respect of a further 6% interest. Citigroup, Goldman Sachs, BofA Merrill Lynch and J.P. Morgan as the underwriters to the $522 million initial public offering by Venator Materials PLC and its admission to trading on the New York Stock Exchange. Anglo American on its $1.3 billion senior notes offering in September 2017, its $1 billion senior notes offering in April 2017 and its $1.5 billion senior notes offering in April 2015. Goldman Sachs International on the US$400 rights issue of African Bank Investments Limited.